What about crime and home break-ins? 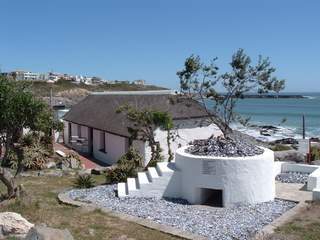 And how occupied is this lovely Yzerfontein during the winter months? Does it become deserted and unsafe. I live in an equally lovely seasode town on France. In winter its grim. The locals are almost always grim.even in dummer they are awful. The Parisians brighten it up. We have no crime. Infact no excitement of any sort. Safe but dull. Actually very safe and extremely dull. Please be kind enough to answer my questions. I live in Yzerfontein and we sleep with our doors open and nothing gets stolen even with all the kids body boards, wet suites, fins etc outside. It is one of the most beautiful places on the planet. Never turns into desert, people very friendly and hearts of gold. Holidays it is packed otherwise quite and a little piece of heaven. I love Yzerfontein it is one of the best places to raise a family.